Emirates NBD works to expand opportunity, strengthen our community and improve the quality of life in the under-banked by strategically investing in our social commitments. Social investments allow us to leverage our assets and intervene in places not well served by the private financial sector. We mainly focus our investments in advocating for people with disabilities and enhancing financial literacy in the communities in which we serve. Although we occasionally fund a program or organization directly, we more often work with partners such as community institutions to strategically target an impact area. 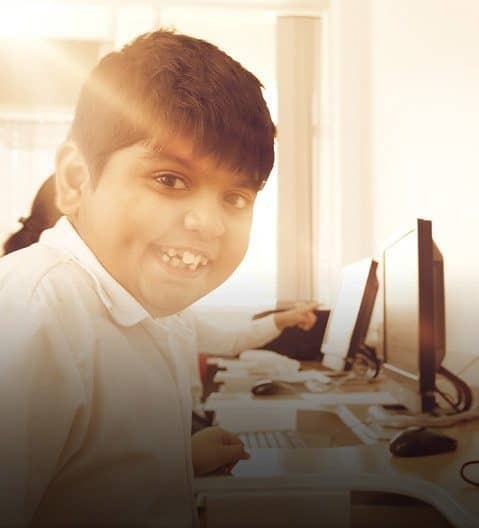 In partnership with Manzil, Emirates NBD PRIDE (People Receiving Independence and Dignity through Empowerment) focuses on enhancing the lives of people with disabilities in the UAE. As a part of our social agenda, PRIDE is Emirates NBD’s flagship program. In January 2015, Emirates NBD hosted an exciting art exhibition and auction created by 38 special needs artists from Manzil at the Al Murooj Rotana. Seventeen paintings were sold amounting to an astounding AED 80,000! We documented and uploaded the whole Perspectives experience on YouTube in February and have since garnered more than 500,000 views! The heartfelt clip captured the journey and connection between the artist and the art collected. So far, Perspectives has won five Dubai Lynx Advertising awards: 2 silver and 3 bronze, but we are aiming for higher reach and impact. Stay tuned! In partnership with Al Noor Training Centre for Children with Special needs, Emirates NBD branches across the UAE welcomed the Smiles N’ Stuff Bazaar in September and February. Held over six days along with Customer Day, the Bazaar exhibited a wide range of festive handmade crafts by special needs students from Al Noor. All proceeds went to Al Noor’s education and empowerment programs. Every April, Emirates NBD participates in Autism Awareness Month by engaging our Exchangers with our partners’ activities. This year, we invited students from the Dubai Autism Center to have two fun filled days at JamJar and Ski Dubai. We are proud to sponsor the first Emirates NBD e7 Girls Summit in Dubai. The e7 Summit is a year-long program that takes 5 young women aged 18-25 from each of the seven Emirates (3 Emirati and 2 longtime residents) to be inspired by UAE community leaders, trained through design thinking, and connected with mentors. Emirates NBD provided a workshop on financial literacy to the participants. The participants are working in teams to develop community projects. On 13 June 2015, the teams will pitch their projects to Emirates NBD where we have earmarked AED 100,000 of seed funding for the projects. The Little Feet Program is a community-focused initiative that was developed and run by Emirates NBD. The program aims to foster education and sports talent among underprivileged children in the UAE. The program offers children 20 football coaching sessions to improve their football skills and to learn new skills the importance of teamwork. The football sessions are conducted by Football Association certified coaches. The children also take part in 10 classroom sessions, where they are taught various topics like hygiene, nutrition, self-discipline, and conflict management. The program is run in partnership with Ahdaaf, the leading indoor football services provider in the UAE, and Action Care, A leading NGO that works on educational development program in the Middle East. Nature Lovers is an environmental educational programme for school children, aimed to provide them with an insight on waste management in the UAE. The programme is run by Peter Milne, an environmental education consultant, who visited 10 schools in February and March 2015. The programme kicked off on 4 February 2015 at Jumeirah Baccalaureate School, teaching 3-5 year old Nature Lovers about the importance of the environment and how they can make a difference. The sessions are 30 minutes long and use two soft toy characters, Camel and Turtle, to enforce the children’s understanding of what happens. The children also learn the ‘reduce, reuse, recycle’ philosophy and participate in a recycling activity where they sort out their recyclables, allocating waste into piles of plastics, papers and metals.